It might not come as a surprise to you that brain injuries, no matter how seemingly small, can be massively damaging. It’s also scary how even the most routine activity can lead to a brain injury. The below infographic details out a lot of the causes of such injuries as well as the effects. It’s important to consider making a brain injury claim quickly to ensure that you are not left on the hook if your injury was caused by another person. Brain injury explained – the effects and spotting the signs. Find out more here. Memorial day is one of the most traveled holiday weekends of the year. Take a look at the below infographic to learn some fun facts about things like how many people will be sharing the road with you this weekend as well as how much gas you might spend for each mile you travel. Many people forget how dangerous prescription drugs can be. Between addiction, medical complications and even death, it is important to understand the dangers of these pharmaceuticals. The below infographic details out some of the facts surrounding prescription drugs. Who doesn’t love cake? With so many delicious varieties for every pallet, there’s no way to simply say “I don’t like cake” and mean it. The below infographic details out the history of cake, one of life’s greatest pleasures. What can typography do for you? This question asked to different people will mean different things. For the arts and crafts enthusiast, typography plays a huge part in the development of their designs. For a web designer, it is one of the main reasons why people choose to visit their website or use their apps. For an advertising campaign, it can create lasting impressions. Typography is simply used to communicate. It allows people to find their place on a page or in designs of all types. 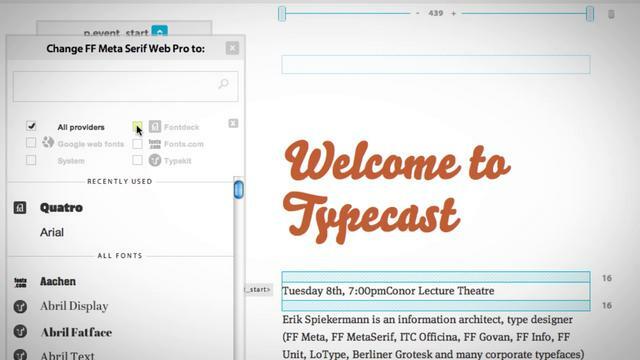 It also gives designers the power to direct and gives voice to type. At first glance, you will notice that well-executed typography is attractive, but there is more to it. Typography builds audiences because it can bring content to life and deliver emotion through its message. The connection readers make to your message is what gives them a reason to stay and build a community. Good typography will establish dialog between the content and the readers and the community. Simple typography helps you avoid losing audience members that are confused by clutter and overly complex designs. By making the typography clean and understandable, it will appeal to a wide range of viewers. Simple designs allow users to easily find and extract the information that is important to them. To ensure readers have an easy time viewing, consider the color contrast of the medium. If it conflicts, readers will move away from it quickly. Instead choose complimentary colors that have a great contrast between them to make everything easier to read. When typography is used properly, it creates a flow of information that is irresistible to those who are reading it. Some admirers take notice of bold designs and steer right towards them seeking action, while others will take the subtle approach and find softer designs that will allow them to take in smaller bits of information. Knowing how to create this effect with typography is very important and takes practice to find the right balance. Map out points of interest in the design and build outward. This will allow users to quickly identify what is important to them or be led to what is important to you. Being recognized for something you do or stand for is what creates a personal brand. This brand is what people remember the most about you and your message. Typography has the ability to calibrate and decide exactly what others remember about your message. If for any reason the message is unclear, people will be confused and try to make sense of it elsewhere. This is why having a firm understanding of typography is so important. Without it, most things would be meaningless. Derek Whitney is currently blogging for Hudson Horizons, a New Jersey web development company. He enjoys blogging about web development, SEO, and website design. When he is not blogging, he enjoys spending time with his family and watching Game of Thrones. There are so many ways to access the internet these days and new internet technologies are emerging all the time. These are both helping to drive new innovations in web development and design. This guide takes a look at some of the better tools currently available for modern web development and design. They are all designed to make life easier, to create better designs and to manage work more effectively. Web designers are tuning in to the importance of typography in web design, but with so many different fonts to choose between it is never easy to select the right one. Typecast is the solution to this problem. It allows you to easily select between different fonts provided by font design creators, and it also lets you make and adjust fonts and compare them with each other. Simple adjustment tools allow you to select the font, size and color, as well as stretch and positioning. Proto.io makes gives you newfound power to get a new website up and running with speed and with plenty of features and user options you can use it to improve the design of the website and make refinements. This is great for both learners and experienced developers. There is complete compatibility for touch screen interaction and modern animation, and you can try it out for free. 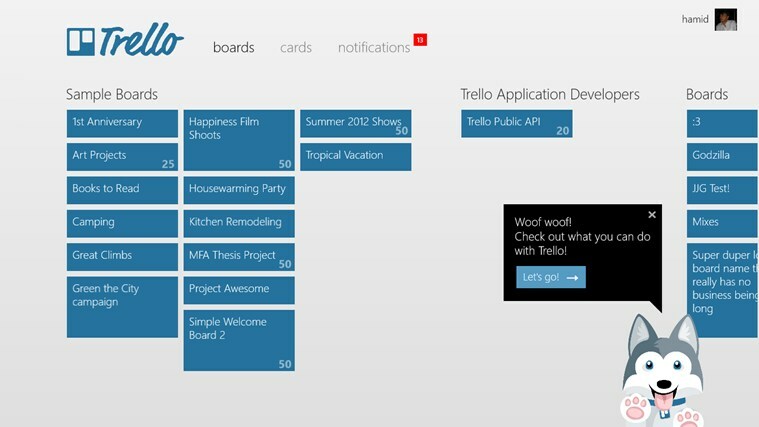 This is a tool which allows you to manage your entire project from one simple interface. In a single glance you can learn everything to do with your project; what is being done, what is left to complete and so on. This program makes it easy and fun to share files, prioritize work and comment. Grid layouts are a highly popular way to present information online, but it can be notoriously difficult to make them work and look as intended. Gridset is a program which allows you to easily create and modify responsive, interactive grids columns and gutters, without having to think about the underlying programming. Even if your CMS makes it difficult to change HTML, Gridset has a number of features to help. Icons are an important part of online typography, but it can be difficult to make them look well integrated with the rest of the text. Fontello is an open source project that makes it easier to manage and customize icons and fonts. 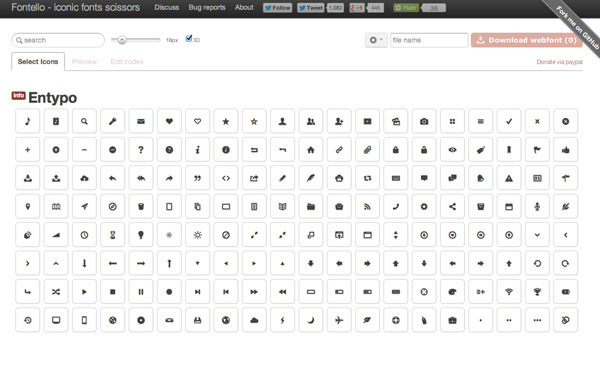 It has everything you could ever need and you can compile your own icon sets. Get involved and contribute with Fontello. This is an excellent tool that allows you to inspect web designs across different mobile devices, including Android and iOS. Mobile developers need their designs to work and respond properly across lots of different mobile devices, and this software cuts out the effort in doing so. PlagTracker is a highly useful tool which scans the online space for plagiarism. You can use it to scan your own content to ensure it is original before you publish. Given how damaging plagiarism can be to your online ranking and listed status, this is a vital tool for any web developer who creates good content and wants it to remain theirs. Foundation 4 is an advanced framework for modern website development. The simple grid is able to adapt to the size of any screen (even large screens and televisions), prototyping allows for efficient and effective coding, and it is very simple to develop and style online layouts that work on all devices. 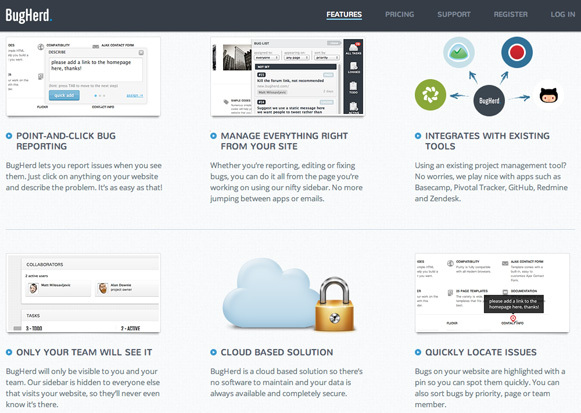 Bugherd providers a better way to smooth out web development and design issues with your clients. The system allows you to manage feedback from your clients, and manage things easily at a stage of the development process that is often rife with complexity. It works from an easy to user interface – authorized visitors can provide feedback, file bugs and make requests. Cloud9 is a browser-based Integrated Development Environment which comes packed with many different features, including a code editor which is very easy to use. You get things like smart drag, automatic code completion and FTP integration, but the real advantage to Cloud9 is the connectivity it grants. When teams of many developers are working on the same file, it is easy to identify each user and communicate. It can be used offline, is generally intuitive and easy to use, and is integrated with the social development project GitHub. If you want an IDE solution that you can use anywhere, this is definitely one of the best options available. My name is Sonia Jackson. I represent the Australian web-site http://www.essay-bag.com. We’ll help you to solve all problems with writing different essays and research papers according to the rules of the universities and colleges in Australia.